Core Training Sliders. 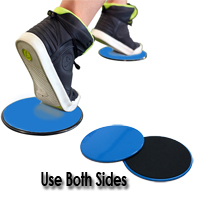 These are great for Crossfit, Cross Training, Abdominal Workout Routines, Stretching, Agility and overall body strength - Dual Sided Design Works on Carpet, Lino or Hardwood Floors. 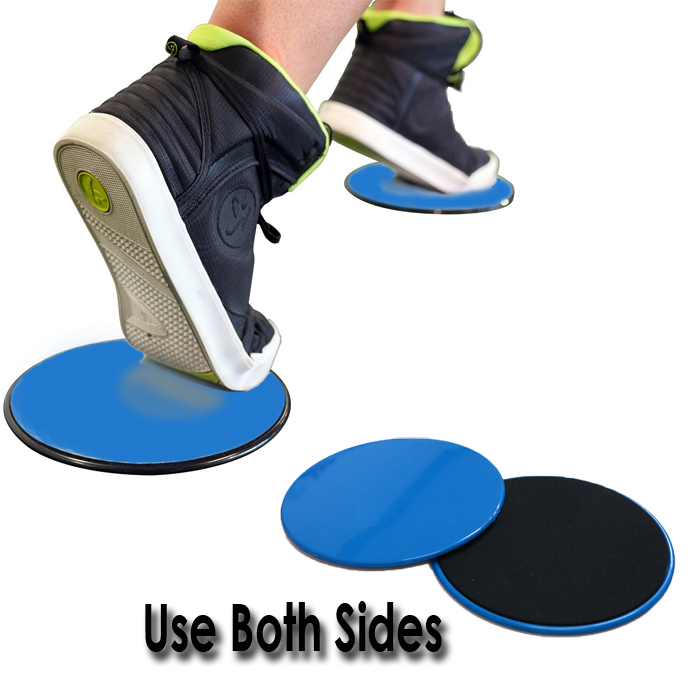 Double Sided, They Work Great on Carpet and Hardwood Floors. Target your glutes, thighs or Abdominals, or work your entire body. Lightweight and portable, easy to take them anywhere you want them.